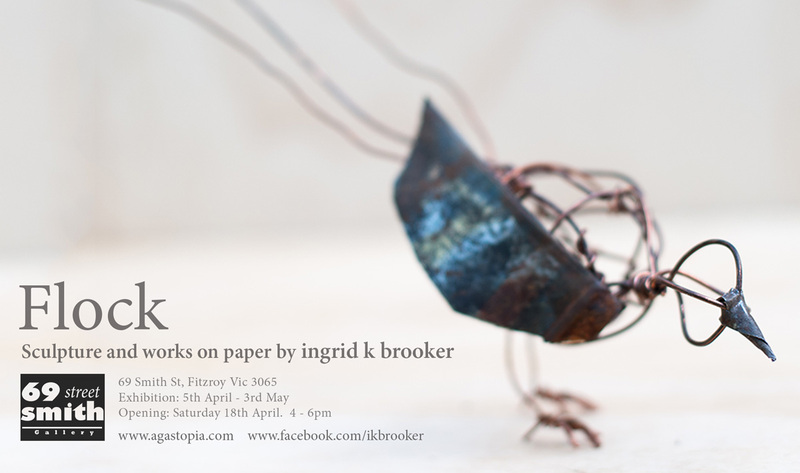 ingrid k brooker is predominantly an animator and multimedia artist, but in this exhibition she turns her hand to traditional, static sculptural practice. ‘Flock’ is a collection of bird sculptures made from wire, tin and found objects. Her sculptures are accompanied by a range of mixed media works exploring themes home and connectedness.